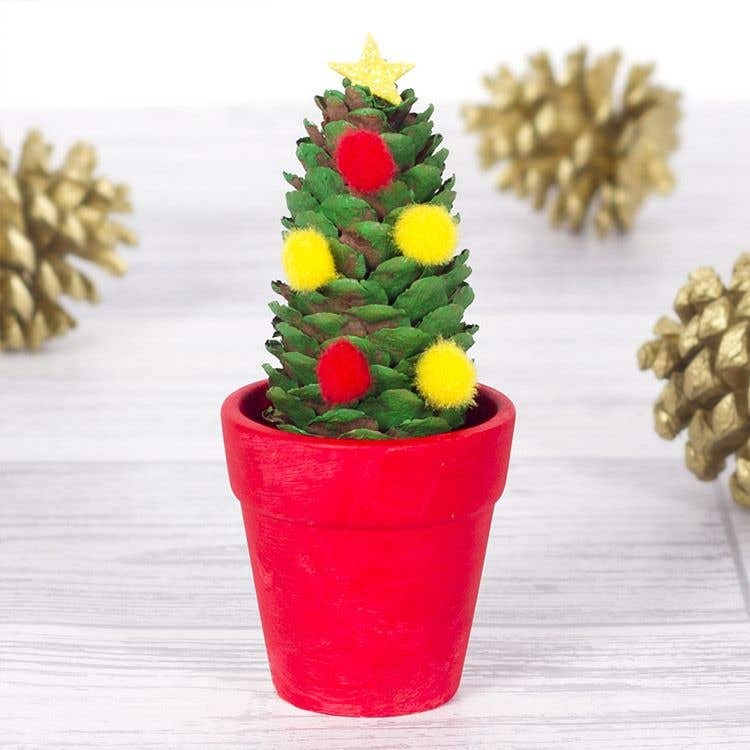 This cute little Christmas tree makes a great decoration for the Christmas table. 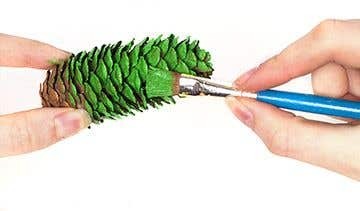 Cover a long pine cone with a coat of green acrylic paint and leave to dry. 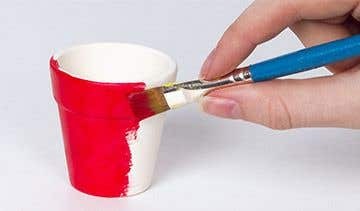 Paint one of the mini plant pots with red paint and leave it to dry. Put the pine cone into the red plant pot. Then cover it will mini pom poms, attaching them with glue dots. Stick a small glittery star sticker to the top of the pine cone tree. 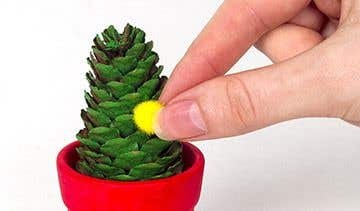 If the pine cone looks too small when you have added it to the pot, fold up some tissue and place it underneath to make it appear taller.